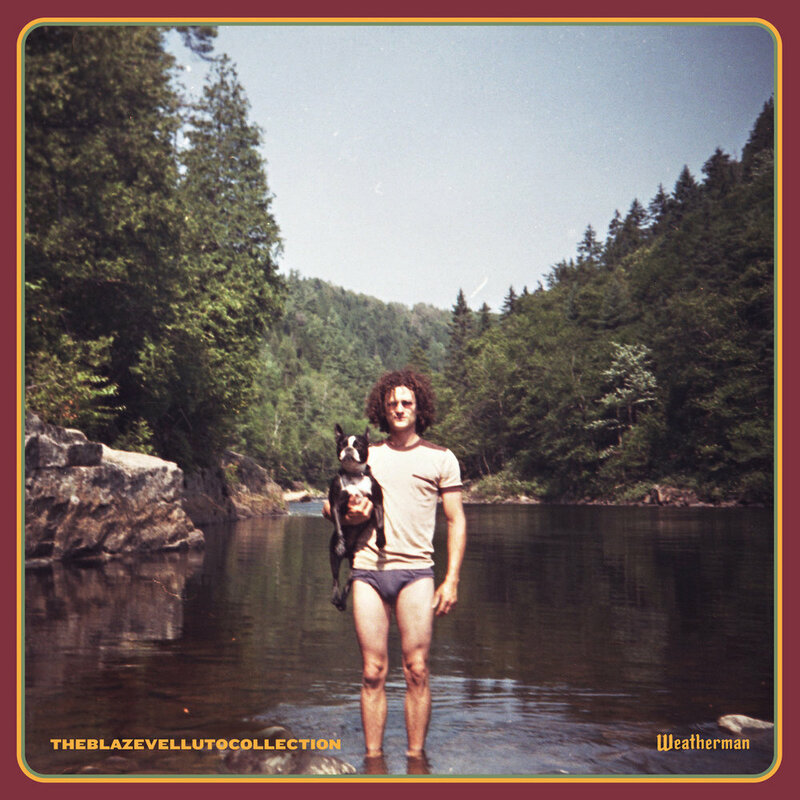 Blaze Velutto is the Quebec-based songwriter whose debut record, Weatherman, is an ambitious neo-primitive sizzler smoldering with country, Americana, and kind-hearted Canadian rock and roll. The record eludes traditional classification with the doodlin' jaw harp twanger "Morning Dew,” the tribal roar and aboriginal psych stomper of "M. Coyote," and Bossa Nova shuffle of "Dingo Dingo," Weatherman excretes a full-bodied dose of phantasmic multi-genre arrangement and inspiration. Velluto’s Collection hogties his bargain-bin lifestyle and blissful self-awareness for a truly genuine and effortlessly pleasant package.